So, its been almost 10 months and I have not changed my hair colour...well its changed from different shades and hues of blonde but no drastic blonde to black, black to red..you know what I mean. I have found being a blonde, especially platinum or very light ash blonde is actually very easy to keep up with, Reds where a pain and had to colour so often because the red would fade so fast. I have a short pixie cut and my hair routine is bleach roots every 5 weeks, colour and use tone correcting shampoos. 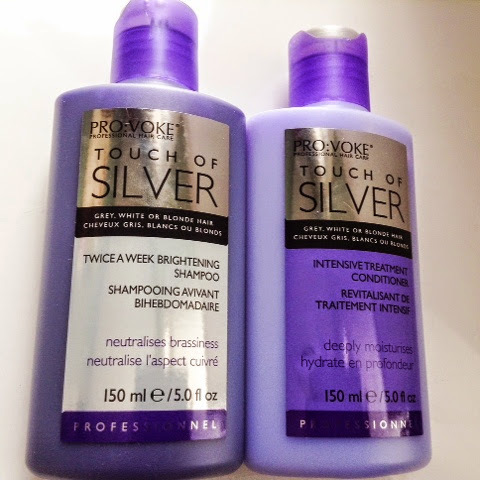 I added this awesome Pro:voke Touch of Silver shampoo and conditioner to my hair routine twice a week, just like the instructions. 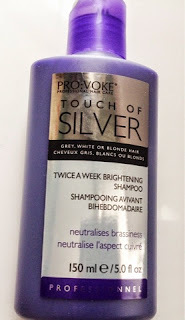 Every time I use this Touch of Silver Shampoo and intensive treatment conditioner my hair is so soft, manageable, shiny and revived. The colour boost removes all brassiness and any yellow tones. Twice a Week Brightening Shampoo: This colour correcting shampoo works to neutralise yellow tones. Two applications a week is enough to keep brassiness at bay. Contains colour violet pigment to instantly revive, lacklustre grey, white or platinum blonde hair. Intensive Treatment Conditioner: The NEW intensive rinse out conditioning treatment is the perfect accompaniment to Twice A Week Brightening Shampoo to help repair dry, dull and damaged hair. This Intensive Treatment has Sunflower Seed Extract and Keratin to condition and protect, while also leaving hair with an exceptional shine! To understand how Touch of Silver Twice A Week Brightening Shampoo works, you need to know a little about colour theory. 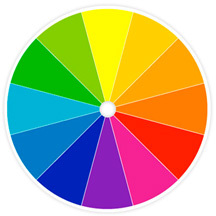 The general rule to remember is that opposing colours neutralise each other. The opposite of yellow/orange is purple/violet and using Touch of Silver Twice A Week Brightening Shampoo that deposits violet colour pigment will effectively neutralise yellow tones in grey, white & platinum blonde hair. It also works for natural blondes in need of a bit of a boost, as well as highlighted blonde hair. visit farleyco.ca for all more info on how Touch of Silver works!